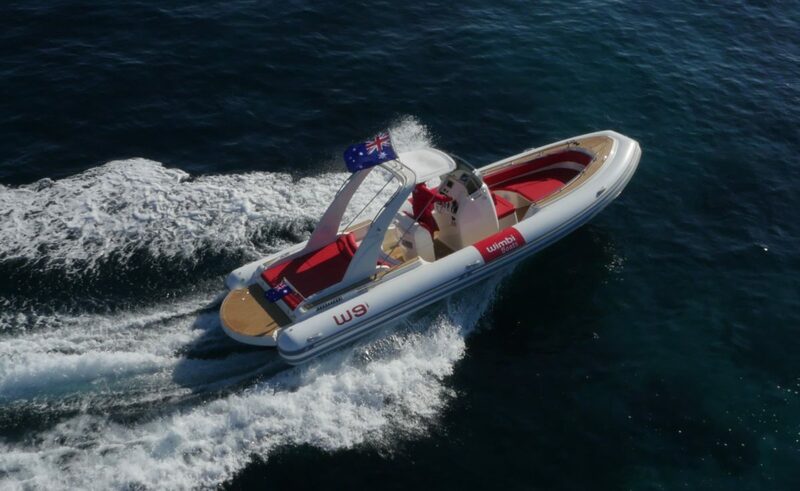 -Special rate July / August on the departure of 9:25: 13 € and 7 € for children from 2 years to 11 years. Landing bus at the pier and parking 10 minutes. Visiobulle – Embarcadere Courbet, Bd Charles Guillaumont 06 160 Juan-les-Pins. – April, May, June, September: 10:45 to 17:40, welcome and telephone by crew or answering machine during the outings. * Outings can be canceled without notice, for bad weather or technical problems. Half day – day – week – evening. Coastal raid for several days on estimate. 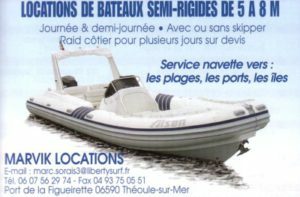 Semi-rigid inflatable boats, with or without sailor, from 5 to 8 m.
French Sailing School (Affiliate FFvoile, approved Youth and Sport). Cruise school day or week on Amulette our fast and robust sailboat of 44 feet. Personalized program: From the discovery to the captain and a module Family. 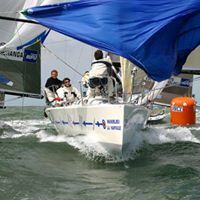 Organization of events around the sailing and regatta activity.